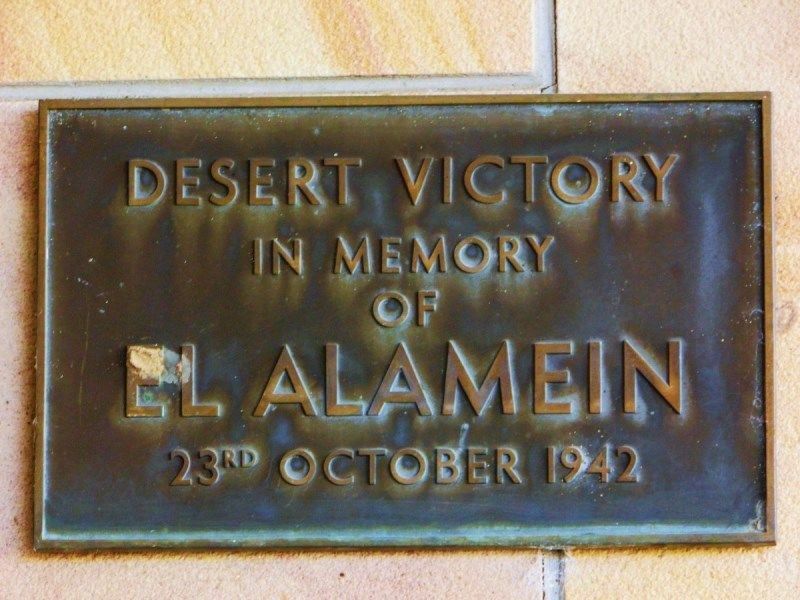 A plaque commemorates the victory at the Battle of El Alamein in 1942 during World War Two. The Second Battle of El Alamein (23 October–11 November 1942) was a major battle of the Second World War that took place near the Egyptian railway halt of El Alamein. With the Allies victorious, it marked a major turning point in the Western Desert Campaign of the Second World War.